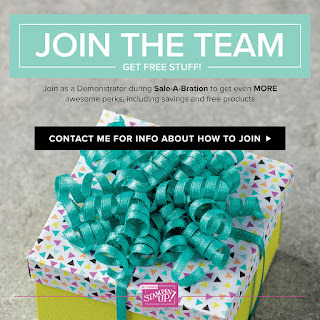 I'm excited to join you today and to share the information about SALE-A-BRATION, our biggest event of the year. Now don't get too excited yet as you cannot participate in SAB until January, but you can plan ahead to book your party with me so you and your friends can benefit from the free product offerings that will be available. there are some great bargains in the Holiday Catalogue Sale that starts today. Contact me for a copylist of the Retiring Items. I will also attach a pdf to my newsletter this month. Just be sure to act quickly as items are only available until sold out - once they're gone, that's it! 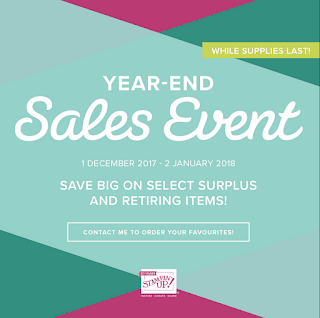 January is a great time to host a SALE-A-BRATION party and I am taking bookings from January 8, 2018. I am available any time other than my regular class times (see side bar) and I'm happy to come to you, or you can have your party in my craft room. You might like to try a VIRTUAL PARTY - talk to me about the possibilities and we will work on making that happen for you. In a nutshell - basically for every $90AUD spent per person, a free item can be claimed from the SAB brochure. SALE-A-BRATION runs from January 3 - March 31. 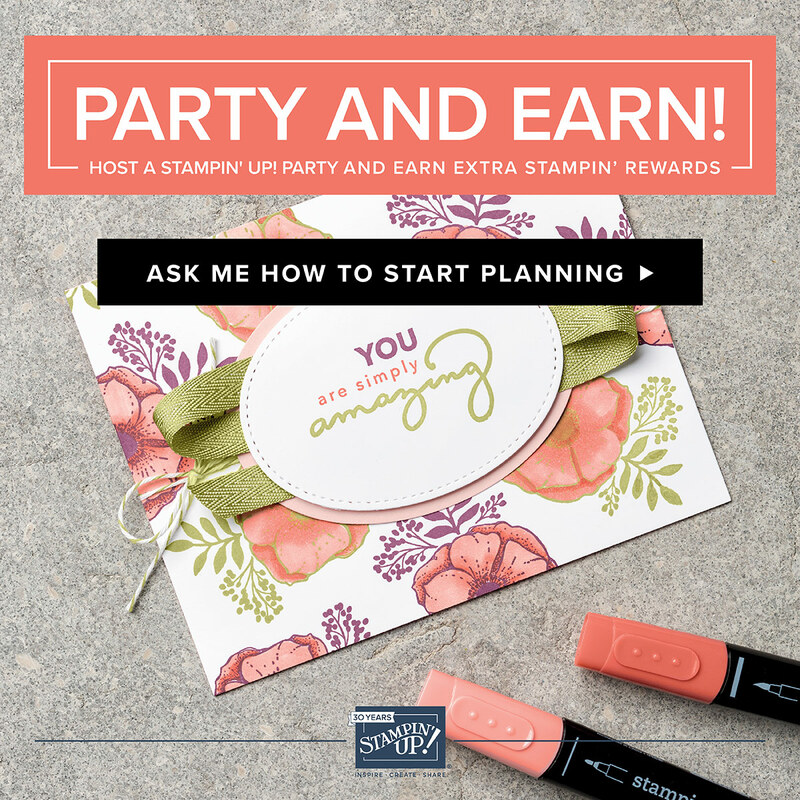 Have you been thinking about joining Stampin' Up!? What would your main reason be? Is it the demonstrator discount that helps you to get more for your dollar? Is it the thought that you'd like to earn some additional income to either spend more on your craft or help with the family finances? There are additional benefits to joining then but if you just can't wait there is never as good a time as now! 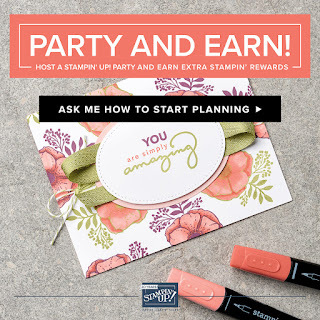 Planning ahead is always a good idea, so if you have been thinking about joining Stampin' Up! you could request your family contribute towards the cost for your Christmas present!